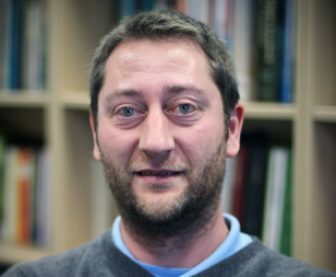 Dr Staddon is an Honorary Member of the Medical School, with over 14 years’ experience in environmental change research, studying the impacts of climate change on natural ecosystems and human health. With colleagues at the European Centre, he is currently involved in two multi-million pound projects: the £4.1Mn NERC “Drought Risk and You” and the €5.9Mn EC FP7 “BASE” project. He is also working with Professor Michael Depledge on topics as diverse as fracking impacts on the environment, and health impacts of climate change, both in Europe and China. Currently based at Xi’an Jiaotong-Liverpool University in Suzhou, China, Dr Staddon is developing a climate change ecology program focused on soil ecosystem processes. He also teaches a final year undergraduate module on the Ecology of Climate Change and contributes lectures in other modules including Terrestrial Field Skills, Environmental Issues and coordinates undergraduate final year projects.